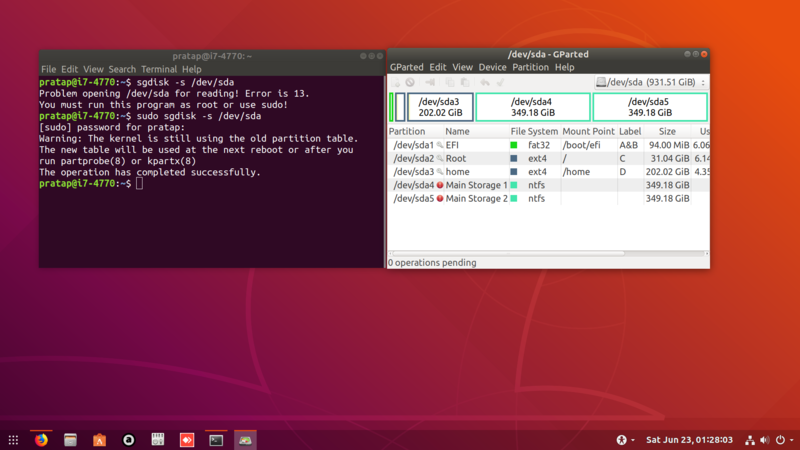 I am with Ubuntu 18.04 OS alone with GPT Partitioning Style. I have several times installed dual OS, removed one OS etc. Update: Issue solved with @crass answer. Use sgdisk from the gdisk package to sort the entries. This can be done by issuing sgdisk -s /dev/sda. /etc/fstab if you use this option.